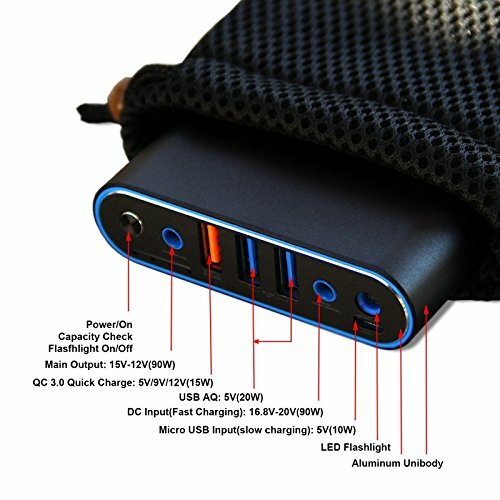 The Solo DC Output Max 90W Tested Charing for Surface Book Laptop Pro 4/3 M3 Surface Pro 2 RT (All Microfoft Surface Models). 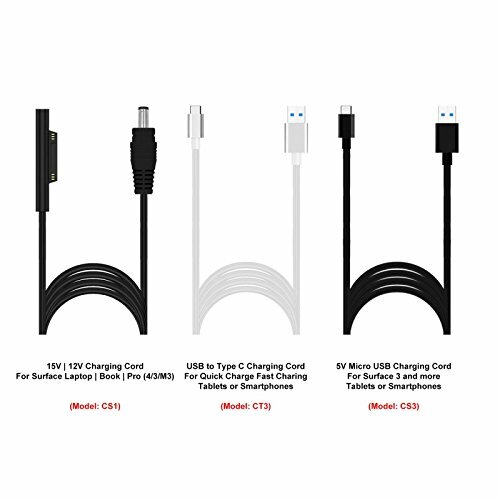 Charges for Surface Pro 1.5 times, iPad Mini 1 approach 4 times, iPhone 10 times, Recharges in around 3 hours via adapter (included). 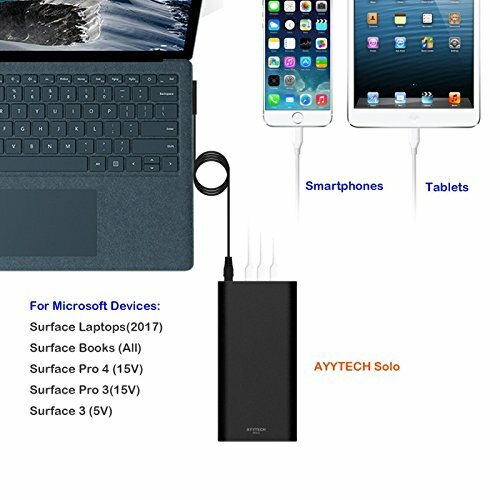 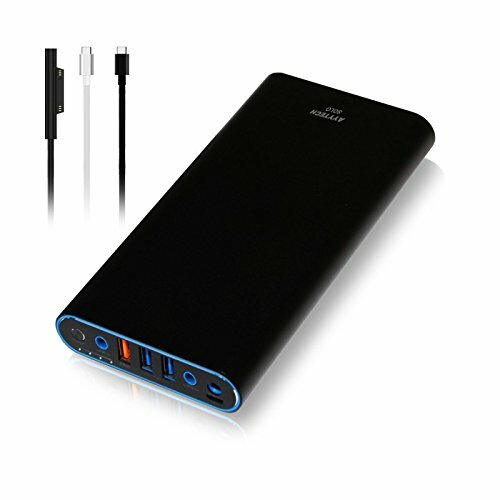 Packing: 1x AYYTECH Solo 40000mAh Powewr Bank(Silver), 1x Surface Charging cord, 1x Adapter Charging cord, 1xFast Charging Adapter, 1x US Power Cord,1x Protective Pouch, 1x Manual.